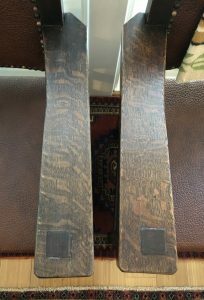 Cleaned and Waxed and Touched Up Original Finish. Replaced Leather with Original Tacks. 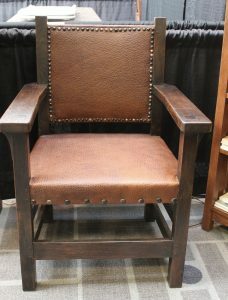 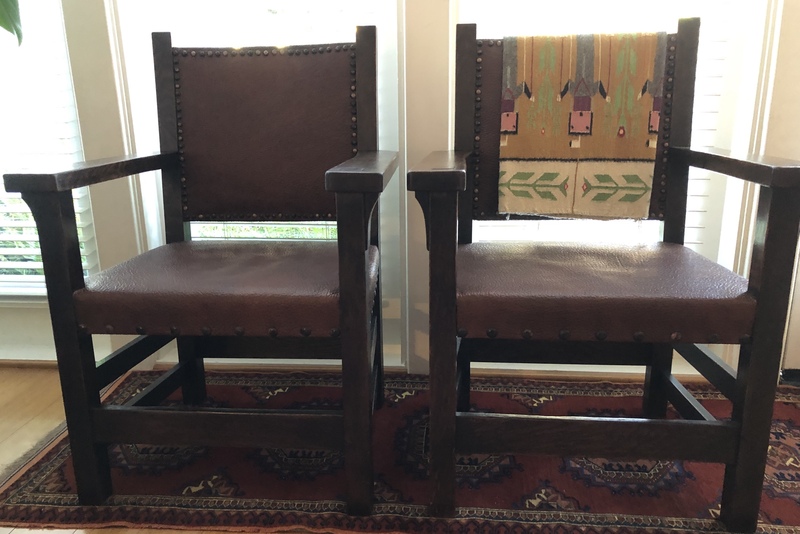 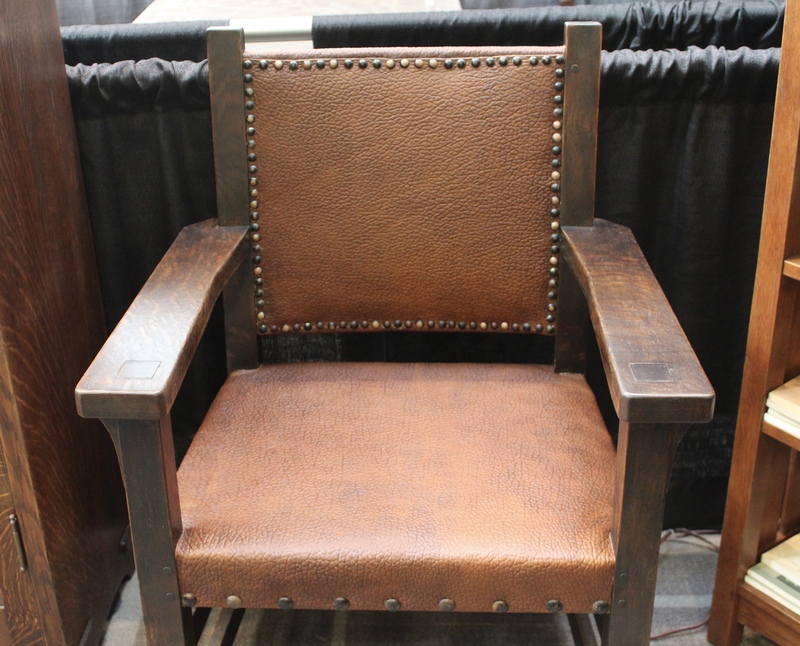 26 1/4″ w x 22″ d x 37 1/2″ h. We attribute these chairs to Gustav Stickley due to the quality and the way they are made, thickness of the wood (arms are 1 1/2″ thick) pinning, beautifully shaped arms, great quarter sawn. Great form and presence.